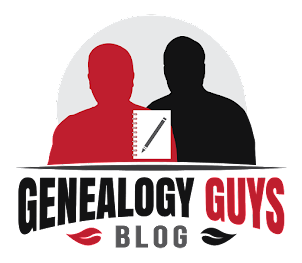 One of The Genealogy Guys' favorite events each year is the Ohio Genealogical Society's annual conference. It is always filled with excitement, from the excellent speakers, the great lectures and workshops, the wonderful exhibitors, the luncheons and dinners, and a number of special events. We look forward each year to being asked to speak and to be involved. We support this conference in a number of ways, including sponsoring speaker workshops. This year we are sponsoring Ari Wilkins' lecture, Finding the Last Slave Owner, and Blaine T. Bettinger's lecture, Evaluating a Genealogical Conclusion Including DNA. This year's conference will be held May 1-4, 2019, at Great Wolf Convention Center in Mason, Ohio. There's something for everyone at Great Wolf as it is also a well-known resort so consider bringing the whole family. Wednesday is focused on workshops, for which there are additional fees. Thursday through Saturday are filled with all the other events. And if you thought the conference is only for people with Ohio connections, you would be dead wrong. Take a look at the conference web page at https://www.ogsconference.org to access and download the conference schedule (PDF), to learn about the fifty excellent speakers, and learn about the sponsors. The conference syllabus is now available at that site with your registrant's login. You can register online at https://www.ogsconference.org/registration for this great conference. Attend for a day or the whole conference. This link will also let you register for workshops and meal events. We look forward to seeing you in Ohio in just a couple of weeks!